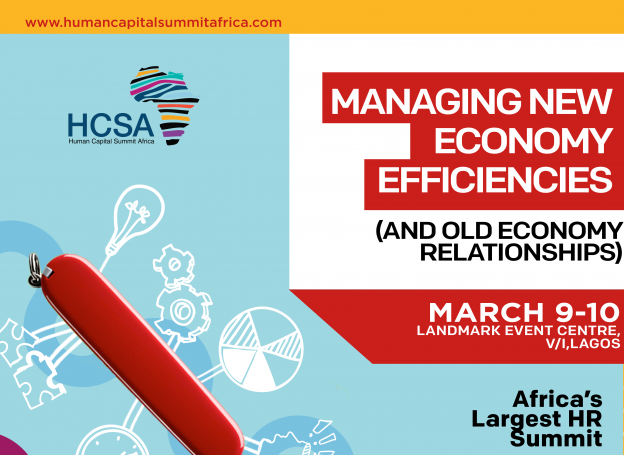 Human Capital Summit Africa 2017 | TMC | Toki Mabogunje & Co.
From March 09 – 10, 2017, the Human Capital Summit Africa 2017 will take place at Landmark Event Centre, Victoria Island, Lagos. HCSA 2017 is planned to be the biggest HR event in Africa in 2017, and one of the biggest international professional events the world over in 2017, with extensive reach and impact. The summit will feature eminent keynote speakers from around the world, 60 sessions accommodating multiple areas of interest, 100 notable session speakers from around the world, over 3000 delegates from across Africa, over 500 participating organizations, and over 100 executives of top organizations. Deadline for Registration is Wednesday, 8th March 2017. Call Olusegun on 08035691309 OR Email: olusegun.adepoju@lagoschamber.com.